Czastka, J. 1997. Traditional architecture of Abu Dhabi: The Summer House of Sheikh Shakhbut. Tribulus (Journal of the Emirates Natural History Group) 7.1: 9-11. [ to download this article in Acrobat .pdf format click here (269 Kb) ] . Czastka, J. and P. Hellyer. 1994. An Archaeological Survey of the Mantakha As'sirra area in Abu Dhabi's Western Region. Tribulus (Journal of the Emirates Natural History Group) 4.1: 9-12. [ to download this article in Acrobat .pdf format click here (476 Kb) ] . Hellyer, P. 1992. Islands Survey. Tribulus (Journal of the Emirates Natural History Group) 2.2: 37. [ to download this article in Acrobat .pdf format click here (89 Kb) ] . Hellyer, P. 1993. UAE - a New Frontier in Archaeology. Arts and the Islamic World (Special Issue: Architecture, Archaeology and the Arts in the United Arab Emirates) 23: 41-45. Islamic Arts Foundation: London. ISSN: 0264 1828. Hellyer, P. 1998a. Filling in the Blanks - Recent Archaeological Discoveries in Abu Dhabi. Motivate: Dubai, for the Abu Dhabi National Oil Company, ADNOC. Hellyer, P. 1998b. The relevance of Archaeology to Coastal Zone Management. Tribulus (Journal of the Emirates Natural History Group) 8.1: 26-28. [ to download this article in Acrobat .pdf format click here (342 Kb) ] . Hellyer, P. 1999. Hidden Riches - An Archaeological Introduction to the United Arab Emirates. Union National Bank: Abu Dhabi. Hellyer, P. 2002a. The Archaeology of the Sabkhas of Abu Dhabi. pages 325-333. In: H-J. Barth and B. Böer (eds. 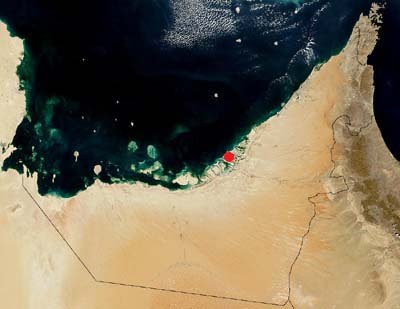 ), Sabkha Ecosystems - Volume I: The Arabian Peninsula and Adjacent Countries. Tasks for Vegetation Sciences Vol 36. Kluwer Academic Publishers, Dordrecht. [ To purchase a copy of this book (ISBN 1-4020-0504-0) click here - to download this article in Acrobat .pdf format click here (116 Kb) ] . Hellyer, P. and M. Beech. 2001. Protected Areas and Cultural Heritage: An Abu Dhabi Case Study. In: Research and Management Options for Protected Areas. Proceedings of the First International Symposium and Workshop on Arid Zone Environments (January 2000). Environmental Research and Wildlife Development Agency, Abu Dhabi. pp.195-213.